This innovative Hit List Service has been in effect since 2008. Your marketing edge is that the over 1,235 mining officials we will contact on your behalf are referred to this page during our show promotions. See below some of our clients at recent CIM, PDAC, SME & MinExpo shows. Our goal is to bring International mine operators, plant superintendents plus members of the financial investment communities, your target markets, to your booth. Our successful Hit List programs at the SME's RETC-Toronto, CIM's-Montreal, SME's-Denver, PDAC-Toronto plus MinExpo shows helped our clients direct significant traffic to their booths. 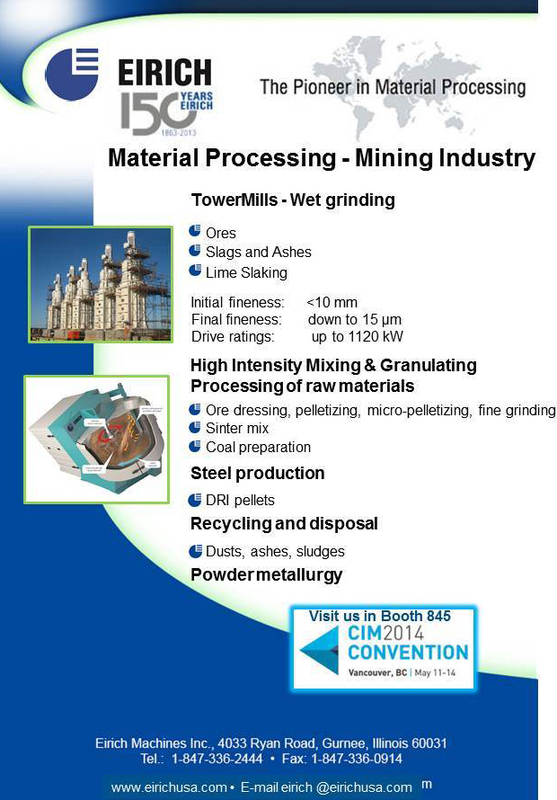 Contact Lewis Bonder at 514-949-1845 or lbonder@miningpublications.com. Since 1920, Viking’s leadership in quality & innovation sets the standard in performance, comfort, & safety for workers. Viking manufacturing continues to expand with Harvik Rubber, the world’s largest safety rubber footwear factory & most recently, Tatra Boots & Shoes, a Canadian leather safety boot manufacturer. 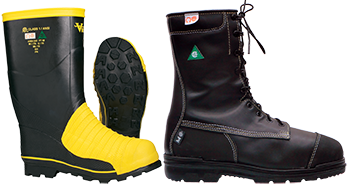 Viking sets the standard for Mining PPE, & produces the world’s best-selling rubber mining boot & has added mining coveralls, neoprene mining suits, & leather mining footwear to its offering. Come visit Viking at booth #25250 & allow us to show you why customers come to us for innovation & comfort in PPE. 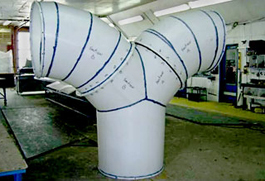 Airflow Sciences Corporation has been providing cost-effective solutions to flow problems for industrial customers since 1975. 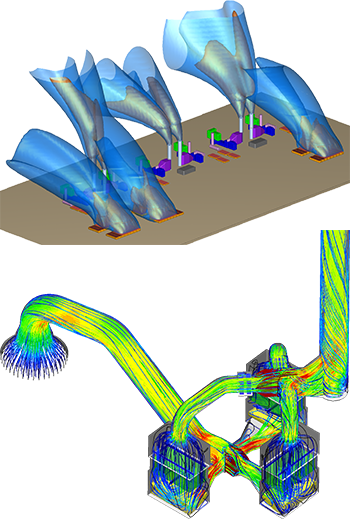 Our CFD / physical scale modeling & field testing expertise has improved flow within ESPs, baghouses, scrubbers, furnaces, & ducts. 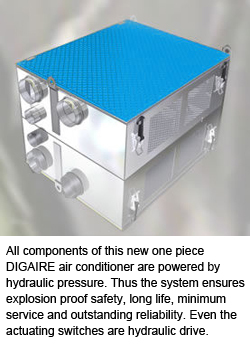 Reduced pressure drop & balanced flow improve the system efficiency & reduce particulate emissions. These analysis techniques have been applied to external flow & ventilation concerns. Plume dispersion from stacks, toxic fume dissipation, dust diversion & suppression, as well as compliance with dust concentration requirements, are examples of mining problems that have been resolved. for flow, heat transfer, combustion, chemistry, particulate, & emission problems. In the Canadian North and many places worldwide, temperatures go to extremes. Whatever the weather, Polar can heat it up or cool it down. To keep the wheels of the industry moving in all kinds of weather conditions - extremely hot or extremely cold - while reducing expensive down-time and operating costs there is Polar Mobility Research Ltd. We keep Mining, Military and Construction equipment working! If it is for operator comfort or equipment functionality we can handle it! Since 1981 Polar Mobility Research Ltd has been dedicated to the design, manufacture and distribution of Air Conditioning, Heating and Ventilating systems for heavy duty mobile equipment including highway trucks, off highway vehicles, oilfield equpment, boom trucks, logging machinery, military, mining equipment... We specialize in custom design and manufacture of unique and special purpose HVAC solutions. Thermo Fisher Scientific supplies mining operations with instruments and equipment to improve efficiency and quality -- from exploration through processing -- in order to ensure profitability. From mineral analysis to complete bulk weighing, monitoring, and sampling systems to dust monitoring, to informatics, you will find the latest equipment and technology for your mineral and metals, coal, or oil and gas exploration and mining operations. Thermo Fisher Scientific is the world leader in serving science, and its mission is to enable our customers to make the world healthier, cleaner and safer. 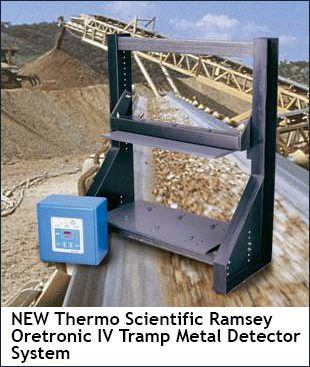 Visit www.thermofisher.com/mining and subscribe to our blog at www.advancingmining.com. 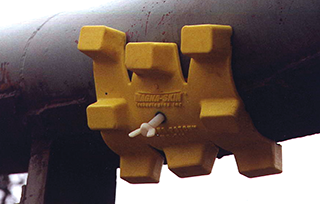 ACR Group's innovative magnetic products lower maintenance costs and improve production by reducing unscheduled down time and lowering change out time. For the effective temporary repair of leaks in steel equipment & pipe. 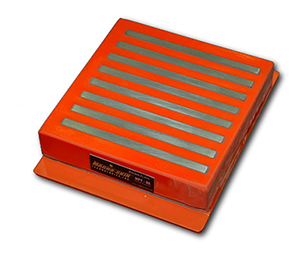 Magnetically retains steel wear plate so no welding or bolting is required for change out. Magnetic Wear Liners - Patented wear liners that install using magnetic force alone and can withstand incredible impact and abrasion. Visit us at Booth 2421 for a chance to win a daily prize draw! A leader in technology & innovation, Southwire® Company is one of North America's largest wire & cable producers. 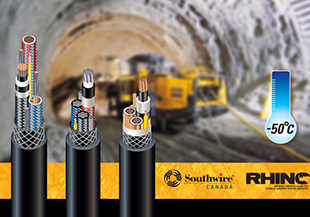 In our ongoing commitment to innovation & offering the broadest array of capabilities, Southwire Canada introduces our new Rhino™ Brand Mining Cable. We understand the special requirements needed for cable used in the harshest mining & industrial environments. 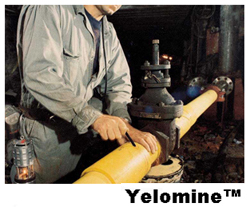 Our mining cable has been manufactured & tested to meet or exceed industry standards such as UL, CSA, MSHA, and OSHA. 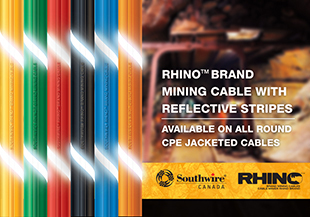 Whether you choose our standard grade 2000 Volt cables, our RHINO SHIELD™ premium grade cables or one of our top of the line RHINOFLEX™ products, you can be certain our quality & design will provide the necessary service life that is needed to get the job done. Since 1950, our company has delivered power to millions of people around the world. With an emphasis on service-excellence & relationship management, Southwire is constantly pioneering ways to bring efficient & sustainable solutions to customers. Led by our team of executives and engineers familiar with the mining industry, FWS Industrial Projects Ltd. has worked on major projects in the mining sector. As a turnkey General Contractor specializing in Design-Build, we have designed and built several large concrete and steel structural frames. Our Industrial work is designed internally using our in-house engineering capabilities and the work performed at the field level is self performed with our own crews. FWS specializes and leads the industry in slip form technology in placing concrete for tall and large structures. Our ability to execute design-build construction of mining surfaces infrastructure using our proven FWS team and our ability to manage construction of the overall project is well established. 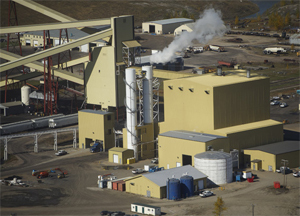 Some of our projects include - Scissors Creek – Potash Head Frame; Activated Carbon Facility & Metakaolin Processing Complex. Thousands of mine operators depend on the Cummins engine for greater levels of productivity, efficiency, and durability, with the lowest cost-per-ton in the industry. Our worldwide presence and comprehensive support make Cummins a proven, committed mining partner you can depend on every day from installation to overhaul. A network of more than 500 company-owned and independent distributor locations in approximately 190 countries and territories are trained and dedicated to provide immediate parts and service availability and the best warranty in the business. Contact your local Cummins distributor to find the best solution for your needs. Get crusher wear parts with the right design and the right alloy. 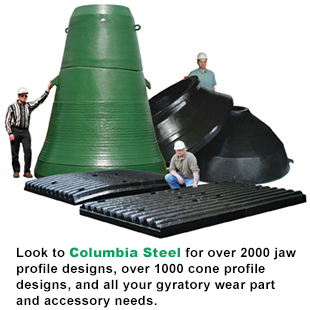 Columbia Steel manufactures wear parts for all popular jaw, cone, and gyratory crushers. Many of our improved designs have been developed to increase life beyond OEM offerings. This, combined with the right alloy recommendation from Columbia Steel engineers, can lead to significant increases in production. We are unique among producers of gyratory crusher parts in our ability to manufacture using four major wear-resistant alloy groups in a variety of grades, to adjust hardness and toughness as needed. We can produce rows of concaves and multiple-piece mantles in the alloy that is best suited to withstand the levels of impact and abrasion found in crushing chambers. And Columbia Steel's Xtend Process® bi-metallic overlays have proven very successful in reducing abrasive wear in gyratory crushers. Hewitt Equipment Limited is the authorized dealer of Caterpillar products for Quebec, Maritimes and western Labrador. Headquartered in Pointe-Claire and with 53 branches, Hewitt sells, rents and provides customer service for the full range of Caterpillar products. Hewitt Equipment Limited provides mining equipment and mining technology products for open pit and underground mine applications. Caterpillar equipment and technologies enable fleet management, drilling and blasting, loading, hauling, dozing, truck assignment, material tracking and on-site operator management. Everything Mines need to increase productivity, efficiency and safety. Equipped with the most up-to-date CNC machine tools plus welding & CAD/CAM technologies, we fulfil large custom fabricating & machining projects. Our expertise rests in our design, manufacture, component repair & parts supply for our industry. Our ability to minimize client downtime & limit production losses makes us attractive to clients globally. We endeavour to provide our marketplace with quality products, superior workmanship & timely service. Dedication is evident in our work plus we provide our employees with both a secure & challenging environment. ProMinent Fluid Controls Ltd. offers products for the Canadian mining industry related to chemical storage, chemical metering, (chemical dosing pumps) controls using industry leading technology plus German manufactured quality. ProMinent supplies components & complete custom systems for storage, transfer, measurement, sensors/ controllers & accurate metering of reagents as well as polymer batch systems for thickening, paste & wastewater treatment. 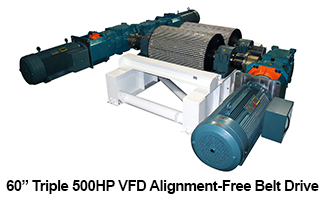 ProMinent offers the Verder Hose pump line for many chemical & solids transfer such as thickener underflow transfer. Local support & technical assistance is available across Canada. Join our technical presentation "Less is More -Operational Savings Using Peristaltic Technology to Move Fluids, Particularly, the Challenging Fluid", Wednesday May 14, at 8:30 am, Room 119. For more than 60 years, AMEC has provided a full range of services for mining and metals projects, from front-end geology and environmental consulting through to design, project and construction management, operations support, and mine closure. We have nearly 5,000 people on five continents who apply their skills and experience to mining developments in nearly 100 countries. And as part of AMEC, we can access the resources of more than 29,000 engineering and project management personnel worldwide. BASF’s Mining Solutions business offers a broad portfolio of highly efficient and innovative specialty chemicals designed to provide measurable improvements in metallurgical performance. Our expertise in Mineral Processing and Metal Production encompasses a range of products with applications in the areas of Grinding, Flotation, Hydrometallurgy, Solid Liquid Separation, Tailings Management and Materials Handling. 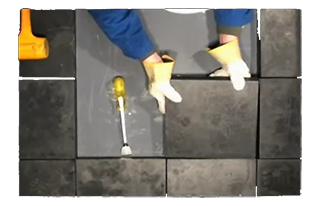 Through its Master Builders Solutions brand, BASF also offers innovative product technology and engineering knowledge to.tackle your underground engineering problems safely, and cost and time effectively. 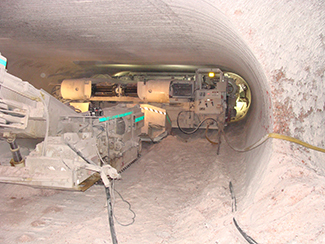 BASF has been instrumental in bringing new methods to the tunneling and mining industry. Our innovative technologies include shotcrete additives and accelerators for wet or dry-mix spraying processes, mining-specific technologies for backfilling, anchoring, thin spray-on liners (superskins), injection and abrasion resistant coatings. maintaining or improving overall equipment effectiveness and productivity. Thus, we provide a single point of accountability and delivery, enabling business outcomes with our expertise in the tools and technologies that address our client’s needs. Maptek™ is a leading provider of innovative software, hardware and services for the global mining industry. Founded over 30 years ago, Maptek products are in use at more than 1,000 sites in over 60 countries. Products cover the whole mining cycle from exploration to reclamation. Vulcan™ is one of the world's longest standing 3D mine planning and modelling packages. I-Site™ is an integrated hardware and software system for 3D laser scanning, surveying and imaging. BlastLogic™ is intelligent 3D drillhole validation and load design software, while Eureka™ provides an interactive 3D environment for visualising and interpreting geophysical and seismic data. 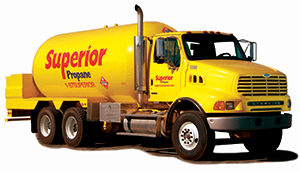 As Canada’s only national propane energy solution provider, Superior Propane has powered more industrial projects across the country than any other propane company in Canada for more than 60 years. We strive to be your total energy solution partner, providing end to end solutions to our customers through our professional team of Certified Technicians who understand the specialized needs of mining customers. Schwing Bioset, Inc. is a recognized leader in paste and sludge pumping technology. We use positive displacement hydraulically-driven piston pumps as the core product for providing system solutions to the mining, tunneling and wastewater treatment, industries. SBI units pump dewatered tailings and paste with dry solids content up to 80%. The versatile pumps have been used in backfilling applications and tailings disposal projects since the late 1980’s and remain a preferred technology for conveying paste and highly dewatered mineral particles. 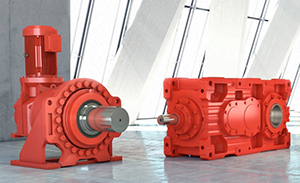 With a proven history of reliability and ease of maintenance, Schwing Bioset piston pumps have become a favorite of Consulting Engineers, Operators and Mechanics alike. Originally designed to pump concrete, these piston pumps adapt easily to the rigors of mineral processing plants including transportation of concentrate, mineral tailings and paste backfill with many units having operated continuously for years with unequaled availability. In addition to their use in pumping dewatered mineral products, the piston pumps have also been successfully used to pump the a number of dewatered sludge’s, scum and grease collected in a wastewater treatment plant and other applications. Based on the same technology used to pump concrete, Schwing Bioset's wear resistant positive displacement piston pumps have been used in both cemented and uncemented tailing applications. 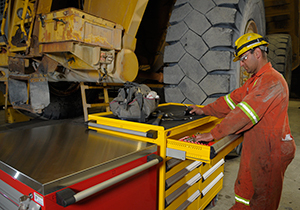 Parker Hannifin is the world's leading diversified manufacturer of Motion and Control Technologies and the right choice for Canada’s mining industry. Coal, Base Metals, Precious Metals, Uranium or Potash Mining, is supported by expertise in seven major technologies: Hydraulics, Filtration, Fluid Connectors, Pneumatics, Electromechanical, Instrumentation and Seals. Parker understands the concerns facing our mining customers. We know that safety is your number one priority and have the products and services to ensure your team gets the job done safely. Our Onsite Container Program, Safe Hose Training Practices, Intelligent Fluid Condition Monitoring, and State-of-the-art CAN Bus Electronic Controls with built-in self-diagnostics will keep your equipment running longer, faster and at maximum performance. For more than 33 years, West River Conveyors has been delivering exceptional customer service while building competitively-priced, quality, long-lasting conveyor products. 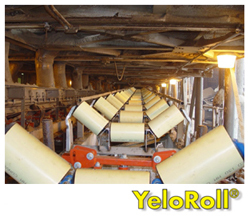 West River has a complete line of conveyor equipment from belt drives to tail sections to take-up units, starters, power packs, and much more. If your application is unique, West River can customize drive packages to fit your specifications. 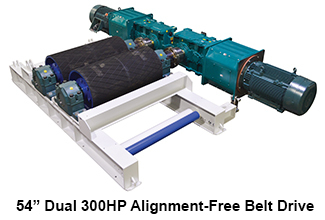 The company is a leader in custom-designed belt drives for underground bulk material handling operations. Their drives are built from carefully selected, industry leading materials and are constructed to provide a strong and rigid, mine-duty frame that doesn't distort during installation or use. West River's frames are built from a heavier duty steel than many companies use, providing a product that withstands the most demanding underground and above-ground bulk manufacturing operations. In addition to new conveyor systems, West River stocks thousands of conveyor components and parts ready to sell immediately. 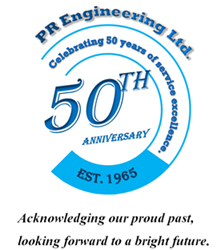 Supplying Pre-Insulated Pipe to the Mining & Industrial Sectors for over 40 years. 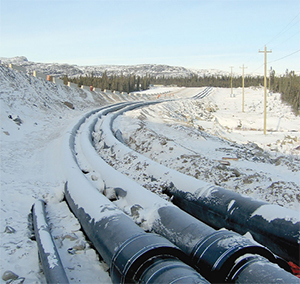 In any extreme climate, Urecon pre-insulated pipe is the system of choice. Urecon's U.I.P.® processed pipe is insulated with rigid polyurethane foam, the best insulation commercially available on the market today. Founded in 1969, Urecon has been pre-insulating pipe with it's void free U.I.P.® insulation process since 1972 out of St. Lazare, Quebec and since 1981 out of our Calmar, Alberta plant. With our system, the pipe is pre-insulated in our factory and arrives on the job site ready to install. Wherever machinery moves - that's where you'll find SEW-EURODRIVE products and people hard at work driving Canadian industry forward. In fact, our innovative power transmission solutions set the global standard in rugged, high-torque performance up to 450,000 lb.-in. From the heaviest loads to the harshest environments, our applications specific solutions are engineered to deliver maximum reliability and efficiency - day in, and day out. "Think global, act local" has been our guiding business philosophy for many years. While the majority of SEW drive components are manufactured centrally to a single standard in our global production facilities, final assembly and custom modifications are performed in regional assembly plants located close to our customers around the world. This day-to-day contact with national and local markets is vital to our success. For the past 60 years, Rousseau has been manufacturing storage systems for the industrial sector. Through the years, Rousseau has established a solid reputation. Our products are ranked among the best in terms of quality, reliability and durability. Rousseau storage systems can assist you to organize and optimize existing workspace. Rousseau offers solutions that evolve and adapt to specific storage problems and challenges. Rousseau systems respond to your own unique needs, such as: Assembly Lines, Parts Stores, Maintenance / Repair Stations and many more. Rousseau products have been constructed to be sturdy and durable. In addition to offering a wide variety of products, they are also flexible enough to respond not only to your existing needs, but they will easily evolve and adapt to your future workspace challenges. Ruukki Special Steels. The new definition for premium. 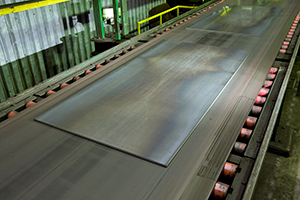 Ruukki is a Finland-based provider of innovative energy-efficient steel solutions for better, living working and moving. A globally-operating manufacturer of special steels, Ruukki has a presence in some 30 countries and employs 8,600 people. Using Optim® high-strength and Raex® wear-resistant special steels, customers are able to design energy-efficient products with lighter structures, longer service life and higher payloads. Optim high-strength steels help manufacturers reduce energy costs of equipment and vehicles while gaining extra high-strength performance. Raex wear-resistant steels are best suited for dump trucks, tipper bodies, excavator and loader buckets, feeders, liners and other mining related high-wear applications. In addition Ruukki has a team of steel product experts who provide technical and application support to North American customers to ensure they have the best steel solutions for their end products. 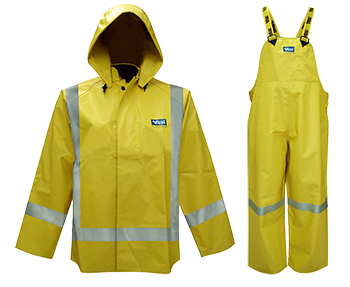 Bulwark is the North American market leader in durable flame resistant protective garments. We are part of VF Corporation, the world's largest publicly traded apparel company. In our position as market leader, we offer a variety of options in flame resistant protection and always seek to place our customers first in everything we do. Visit us to learn about our series of training courses to help make you safer & more successful. Our training courses range from a two-day seminar to convenient on-demand training online that can be accessible anytime! At Bulwark University you’ll gain deep, mission-critical insights from leading technical trainers as to the various industries we serve; the hazards associated with those lines of work; the various test methods and standards that help us keep our eye on safety first; and ultimately, what all those things mean to you and your business. 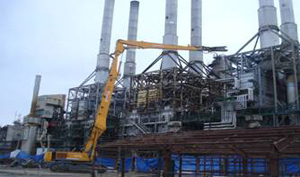 Delsan-AIM Environmental Services Inc. was established in 1994 & since then has been a leading environmental services company that combines our decommissioning & demolition expertise with the recycling capabilities of American Iron & Metal LP (AIM) – an international leader in metal recycling. 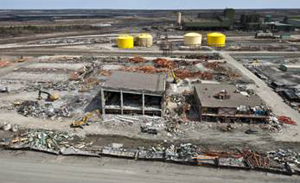 We provide integrated & diversified services offering our clients turn-key solutions for decommissioning; asset recovery, demolition, asbestos & lead abatement; contaminated soil remediation; as well as storage tank cleaning, removal & recycling. We have made quality management a fundamental principle of our business plan with the implementation of a complete quality management system that conforms to ISO 9001-2008 standards. This offers the assurance that our services are quality driven to meet or exceed both our client's & regulatory requirements. 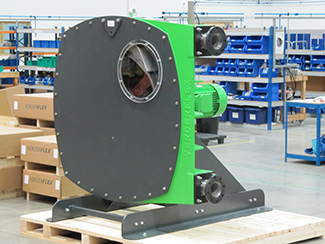 Schwing Bioset, Inc. is a recognized leader in sludge and paste pump technology. We use positive displacement hydraulically-driven piston pumps as the core product for providing system solutions to the wastewater treatment, mining, and tunneling industries. SBI units pump dewatered tailings and paste with dry solids content up to 80%. The versatile pumps have been used in backfilling applications and tailings disposal projects since the late 1980’s and remain a preferred technology for conveying paste and highly dewatered mineral particles. For over 30 years MPI Mobile Parts Inc. has been supplying parts to nearly 30 countries worldwide. As well as exporting parts globally, MPI has become an innovator in the mining industry. We offer several third brake options for use on the Toyota Land cruiser as well as dozens of innovative ways to extend the life of the unit in harsh underground conditions. We are always looking for ways to better our product, making our Special Purpose Vehicles some of the best in the industry. MPI prides itself on delivering exemplary service and support to all of its customers, the way it should be! MPI also has an advanced driveline manufacturing shop to be able to manufacture custom drive lines and a cutting-edge machine shop for custom parts in order to meet our customers’ needs. We are always looking for ways to better our product, making our Special Purpose Vehicles some of the best in the industry. MPI prides itself on delivering exemplary service and support to all of its customers, the way it should be! Westwind Performance brings genuine improvement to your business typically within 6-8 months. One-on-one leadership coaching with an aligned management team focused on results. Developing leaders in their workplace with coaching on priorities to drive results. Live on the ground activities; unique tailoring of our services to your resources. All levels, including the workforce, involved and challenged to step up to improve the business. An empowered, focused leadership team creates an inspired workforce and dramatic business results follow. We make sure the changes are sustainable in the long run. John Brooks Company Limited has been proudly serving the Mining industry for 75 years. For seven decades and more we have been providing our customers with spray nozzles, pumps and filtration equipment, assisting them through improving their processes in mining, mineral processing and environmental challenges. As a complete systems provider we have been able to deliver customized fluid handling solution packages and products to assist our customers with conserving energy, saving money and reducing downtown in their operations. Applications include: Dust Suppression; Seal Flush Challenges; Waste Handling; Cooling Systems; Lubrication; Process Water & Brine Water Filtration; Solids Accumulation Prevention in basins/sumps; and Spray Nozzle and other Downstream Equipment Protection. See product lines below. Click on each link to open PDF document. For more information, please call 1-877-624-5757 to speak to a Representative or email us at industrialsales@johnbrooks.ca. Check out our website at www.johnbrooks.ca. Mécanicad is an incredible success story in the province of Quebec. 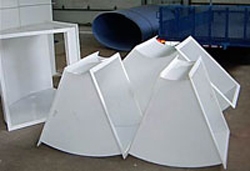 The company is an accomplished plastic specialist that manufactures ventilation ducts and other equipment that effectively reduces operating costs in our industry. The polymers and plastics are used in ventilation duct pipes and fittings, dust collector pipes plus various tanks. Their use in underground trucks, stops ore sticking and carry back, resulting in significant increased payloads per trip. Mr. André Paquet, President of Mecanicad, is proud to announce that its plastic Mecanivent® duct pipe has been tested by the Department of Civil and Environmental Engineering of the Carleton University and approved to meet the criteria of the CAN/CSA-M427-M91 for Type Horizontal up to 17º, Rigid Materials. That certification will enable Ontario miners to benefit from the unusual qualities of this product. With the ever increasing demand for its quality products, the distribution network covers all of Canada. Mr. André Paquet, will be pleased to meet with you at our booth. Klassen Specialty Hydraulics is the Canadian distributor for C.C.JENSEN Offline Oil Filtration Systems. CJC Oil Filtration Systems remove fine particulate, water, acid, and oxidation products resulting in much improved equipment reliability and reduced oil usage. 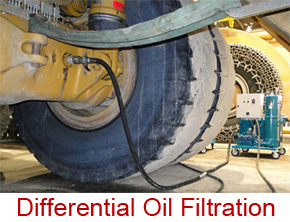 Preventive oil maintenance is an important factor to ensure increased equipment lifetime and reliability. Unexpected breakdowns and stoppages are expensive but also preventable through proactive maintenance and effective oil filtration. 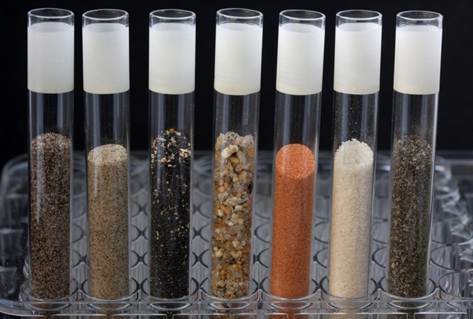 Increased lifetime of oil, drastically reduced oil waste. Gearbox filtration, high viscosity, permanent or portable. Crusher lube fine filtration, extreme dirt capacity. Formed in 1992, the Ontario Construction Secretariat represents the interests of the 25 unionized construction trades and the signatory contractors across Ontario in the ICI (industrial, commercial and institutional) sector. With representation from labour, management and government, we form a tripartite organization intended to enhance the well being of organized construction in Ontario's construction industry by developing relationships, facilitating dialogue, providing value added research coordinating the dissemination of information and promoting the value of unionized ICI construction. Visit us at booth #2006 and enter our draw. Global Inspections-NDT, Inc. was developed after 35 years of experience within the mining industry, based on the identified need for efficient and reliable assessment of mining equipment. Advanced Non Destructive Testing is provided for the Mining and Plant Processing sectors. Our team of experienced and qualified technicians make Global the choice for third party inspections. Global's Ring Gear Inspection, Gear-Pro™, follows the new ASTM E2905 standard for these inspections. Gear-Pro™ is cleaner, faster, documentable, and covers a larger area in less examination time. It greatly improves Probability of Detection better than any other traditional Non Destructive Testing methods for gearing applications. Unlike some other inspection methods, this will size cracks accurately. All of the data is electronically archived for future reference. This standard also addresses gear cleaning issues. A 10m ring gear can be cleaned in less than an hour. Global offers OEM technical support for any gear engineering requirements. Accutron Instruments Inc. – The global leader in Ultrasonic Time-Of-Flight airflow metering technology for underground mining applications. Since 1994, Accutron has been supplying industrial markets with products and services for process monitoring and optimization of mine ventilation systems. Ventilation on demand (VOD) requires real time measurement of all ventilation related processes. Accutron’s suite of products, services and dedicated Research and Development team ensure that any level of ventilation automation application is covered. 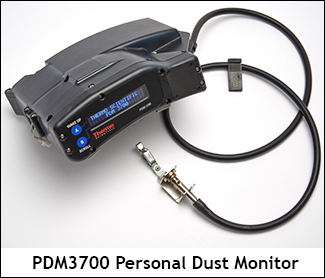 From airflow monitors, toxic gas detectors, temperature, pressure, humidity and level sensors and complete Mine Air Quality Stations (MAQS) to custom services such as R&D, PCB Design, on site technical services and custom panel builds. Please browse our website for more information and don’t hesitate to contact us! Met-Chem was established in 1969 as a consulting engineering company with its headquarters in Montreal, Quebec. It is a wholly owned subsidiary of UEC Technologies LLC which is part of United States Steel Corp., Pittsburgh, Pennsylvania. Met-Chem offers clients a wide range of technical and engineering services for any project size. Met-Chem involvement can occur at any time throughout the project life-cycle from exploration or conceptual and feasibility stage to the development of facility closure strategies. Met-Chem's team consists of a talented and experienced staff of engineers, technicians and project management personnel with extensive world-wide experience. Independent of the project scope, Met-Chem's management provides the project management staff with the autonomy and resources to serve the client in the most effective manner. Additionally, Met-Chem's philosophy emphasises client participation in all phases of a project in order to ensure client satisfaction. 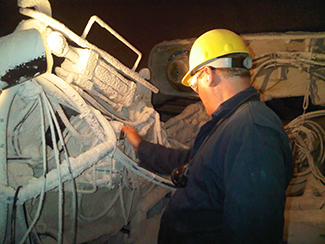 Met-Chem's experience in the mining sector covers the full range of services and minerals. Met-Chem works very closely with the Client's team to prepare scoping, pre-feasibility & feasibility studies, full scale mining operations planning, mine closure plans, and environmental management plans to stringent guidelines imposed by legislative bodies on mining operations. This work has been successfully provided to clients in the world-wide marketplace. Met-Chem enjoys continuous repeat services to clients in many of the mineral sectors. A Sprung structure is the ideal solution for mining companies who require immediate infrastructure in a variety of challenging conditions. Sprung structures can be erected under rigid construction timelines with flexible cost saving foundation requirement options. An optional fiberglass insulation package provides an energy efficient building solution that can be utilized for a wide range of personnel applications. Sprung structures by design shed snow and are engineered to withstand extreme wind loads. Applications include: on-Site Warehousing and Equipment Storage, Vehicle Maintenance Facilities, Safety Meeting Rooms, Training Facilities, On-Site Dining, Dormitory Housing, Recreational Facilities, aircraft Hangars, Bulk Storage, Milling Operations, Remote Ore Processing Facilities, Winter Hoarding, Winch and Hoist Housing, Environmental remediation, Pond Enclosures and Core Sampling Facilities. Innoveyor Inc having over thirty years of composite technology, offers your customers one stop solution with, custom composite idlers, with different cylinder materials, composite shafts and even ultra high temperature, ceramic bearings. Certa-Lok(tm) Yelomine(tm) for Low Pressure Fluid Transmission Lines CertainTeed Yelomine(tm) featuring the Certa-Lok(tm) Restrained Joint Pipe System and manufactured from a specially formulated PVC compound that contains impact modifiers and UV (Ultraviolet) inhibitors is uniquely designed for the rigorous application environment of the mining industry. At AMEC, we supply high-value consultancy, engineering, and project management services to the world's energy, power and process industries. We not only design, deliver and maintain some of the most complex assets in the world but also are able to provide localised small scale consultancy to meet the needs of our regional clients. Our office and laboratory facilities provides services in geotechnical, environmental, mining, water resources and materials engineering. We provide consulting services on all aspects of geotechnical and geological engineering, including site investigations, foundation design, slope stability, retaining walls, seismicity, rock mechanics and tunnelling, hydrogeology, embankment dams and dam safety, construction monitoring and risk assessment. A trusted global partner for mining companies, GE offers a broad range of products and services for each step of the mining process. From power generation to water treatment, to automation solutions and finance, GE provides integrated solutions to help its customers tackle their most important challenges. Through innovation, breakthrough technology and dedicated teams of global experts, GE partners with its global mining customers to help them compete in today's mining industry – and win. Weir Minerals ensures Expertise where it countsSM in delivering and supporting dredging, washing and classifying process equipment solutions including Warman® Centrifugal Slurry Pumps, Cavex® Hydrocyclones, Isogate® Slurry Valves, Geho® PD Slurry Pumps, Floway® Vertical Turbine Pumps, Lewis® Vertical Chemical Pumps, Multiflo® Mine Dewatering Solutions, Vulco® Wear Resistant Linings, and Linatex® Rubber Products including Rubber and Molded Products, Screens and Screen Media, FB Classifiers, and more. 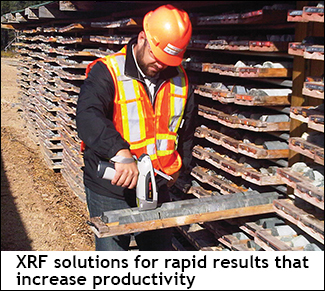 Weir Minerals ensures greater productivity, reduced maintenance costs, increased profitability for our customers in hard rock mining, sand and aggregates, frac sands, concrete, and recycling industries. In the Canadian North and many places worldwide, temperatures go to extremes. Whatever the weather, Polar can heat it up or cool it down. 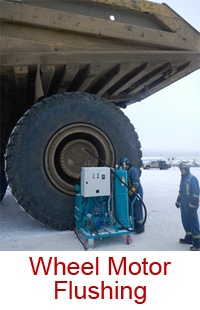 To keep the wheels of the industry moving in all kinds of weather conditions - extremely hot or extremely cold - while reducing expensive down-time and operating costs there is Polar Mobility Research Ltd. We keep Mining, Military and Construction equipment working! If it is for operator comfort or equipment functionality we can handle it! Since 1981 Polar Mobility Research Ltd has been dedicated to the design, manufacture and distribution of Air Conditioning, Heating and Ventilating systems for heavy duty mobile equipment including highway trucks, off highway vehicles, oilfield equpment, boom trucks, logging machinery, military, mining equipment... We specialize in custom design and manufacture of unique and special purpose HVAC solutions. "Walden Group", is a family-owned Sudbury-based company that has become a significant player in the mining and industrial service sectors. Founded in 1993, Walden Equipment, one of the founding companies of the Walden Group offers new and used equipment on a sale or lease basis to its extensive client list. J & S Manufacturing, also part of the Walden Group, manufactures high-quality, dependable and durable machines for distribution through Walden Equipment. Walden Electrical also part of the Walden Group of Companies, is an industrial electrical contractor. Established in 1988, Walden Electrical has been offering contract industrial electrical, construction and maintenance services for mining and commercial sectors and is also ESA Certified. Some services provided by Walden Electrical include; power distribution systems, industrial lighting, industrial alarm systems, electrical system maintenance, infrared thermography, to list a few. Over the past three years, the Walden Group has tripled its work force and has locations in Sudbury, Spanish, Timmins, and of recent has opened office in Mexico and Argentina. The company's ability to provide machines and services that are cost-effective, simple to operate, easy to troubleshoot and designed for the end user has resulted in Walden's exceptional growth and diversification in the industrial sectors. 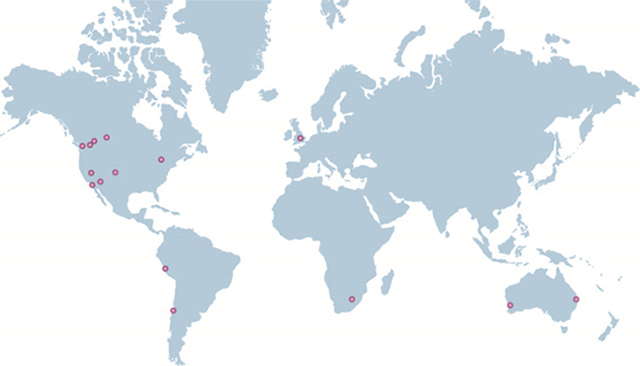 iSolutions' AMT Asset Management Tool is the equipment management engine behind 250 mine sites around the world. Trusted by leading OEMs and Mining companies, AMT provides a proactive, forward looking view of asset cost and performance and drives maintenance decision making to save you millions. AMT bolts on to your existing systems such as SAP, Oracle, Ellipse or JDE. Combined with our specialist asset management consulting services, iSolutions is your value adding Asset Management partner. Dust Control Technology is a pioneer in atomized mist and water fracturing solutions for dust/odor control and wastewater evaporation, serving applications in mining, coal handling, recycling/scrap, demolition, rock/aggregate processing and other industries. The company's DustBoss® product line helps reduce labor costs vs. manual sprays, freeing up manpower to concentrate on core business. The DriBoss® family of products features high-efficiency industrial wastewater evaporators and services, as well as ancillary components such as pumps, valves, controls, sensors and automation -- all designed to withstand caustic and corrosive environments. Eagle Mapping delivers high quality LiDAR data, colour digital mapping and imagery tailored to your unique needs. Eagle Mapping utilizes its own LiDAR equipment, digital camera and airplane as well as in house, expertise, equipment and software to accurately post-process all data and imagery to provide excellent deliverables. With Eagle Mapping controlling all aspects from acquisition to processing of data and imagery through to the final deliverables we can guarantee quality and accuracy. Since 1985, Eagle Mapping has mapped throughout North and South America and other parts of the world. CAE Mining is at the forefront of the industry in developing and providing innovative technology and services to plan, manage and optimize mining operations. CAE Mining offers enhanced solutions ranging from exploration data management and ore-body modeling, to mine planning and operations management. CAE Mining will be featuring dynamic new mining solutions that support operator training, mine planning optimization, integrated operation centers, and other solutions designed to support our client's ability to increase productivity and mine safety. The CAE Terra Training System, integrated mine equipment simulators with comprehensive operator training platform, will be featured demonstrating how CAE Mining can support your workforce skilling activities more efficiently and effectively. 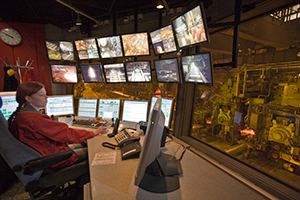 Integrated Operations Centers will be displayed to show the value of increased visibility with customized dashboards to critical elements of a mining operation. With proven expertise in mining governance and optimization software tools and services, and extensive experience in simulation and training, CAE Mining is developing the industry's most compelling technology and services to advance the efficiency and safety of mine operations. Mine Liquidations and Surplus Asset Sales is our primary business interest. In view of this, we have become experts in the promotion of mine related surplus inventory and recognized by the industry as a leader in our field. Over the past twenty years we have assembled the most comprehensive mailing/contacts list in the industry. Simply put, no one advertises as much, and as often as The Mackwood Group of Companies Ltd.. These remarks are easily supported by the enormous flood of inquiries we receive daily from mines, dealers, engineering firms and contractors from around the world who are responding to our marketing campaigns. We promote our client's assets at every opportunity, seven days a week, twenty-four hours a day. It is no secret, that our success is attributed to a thorough knowledge of the market, world-wide contacts, aggressive advertising and a strong motivation to complete sales in order to be paid for our services. If you have a product and/or service, which you would like promoted to every mine, pit, quarry, engineering firm and contractor, who is affiliated with the mining industry, we strongly recommend that you contact our office and ask more about our Marketing Services. Measurement Devices Ltd (MDL) is a complete solutions provider and global pioneer in the design and manufacture of high speed laser measurement systems for use in extreme environments. Established in 1983 MDL has been providing innovative products, services, and solutions to the Quarry and Mining Industry worldwide for more than 25 years. Designed to be simple to use and robust, MDL's laser measurement systems provide cost efficient solutions to the health and safety and operational issues experienced in harsh quarry and mining environments. Our comprehensive range of equipment can improve efficiency for every stage of your operations with applications including face profiling, blasting, drilling, volumetric surveys, quarry mapping, ore pass monitoring, stope surveys, and abandoned mine mapping amongst others. IS YOUR DEWATERING SYSTEM DRAINING YOUR BUDGETS DRY LEAVING YOU WITH HEADACHES? Traditional methods of dewatering mines consist of using vertical turbines, submersibles, or other centrifugal pumps. While this method efficiently moves large volumes of clean water, centrifugal pumps experience inevitable costs and reduced pressure capabilities when exposed to solids and abrasives. For over 30 years, NOV Monoflo relieved some of the headaches caused by conventional dewatering methods by using progressing cavity pump technology. Progressing cavity pumps operate at slower speeds decreasing the wear caused by abrasive fluids. Low maintenance and longer operating life make progressing cavity pumps the ideal solution for dewatering applications. No wonder mining operations around the world look to dewatering systems from NOV Monoflo for headache relief! TELL US YOUR PUMP HEADACHES AT MINEXPO, BOOTH 335 AND RECEIVE A FREE VISA GIFTCARD. With the release of Ontario's Mineral Development Strategy, the McGuinty government is moving to enhance the mineral sector's global competitiveness, while opening new opportunities for all Ontarians. The strategy builds on the provincial government's current initiatives, programs and services as it strives to ensure that the mineral sector continues to contribute at a high level to Ontario's regional and provincial economies. It outlines a series of key strategic objectives and action items, which the government will now address in the implementation stage. Over the coming months and years, the Ontario government, led by the Ministry of Northern Development and Mines, will continue to work with the mineral sector, stakeholders and Aboriginal partners to implement the strategy and all of its elements. BPT specializes in advanced membrane-based separation solutions addressing the unique needs of the water, wastewater treatment, and chemical process industries. Our multidisciplinary R&D group – with over 30 years of proven experience in developing and deploying new separation technologies – focuses on breakthrough innovations in the areas of membranes and membrane-based separation products. Breaker Technology (BTI), is a manufacturer of a wide range of mining, quarry and construction equipment. The company specializes in hydraulic breakers, mobile rock breakers and stationary rockbreaker systems for breaking oversize at primary crushers, grizzlies, drawpoints and stopes. 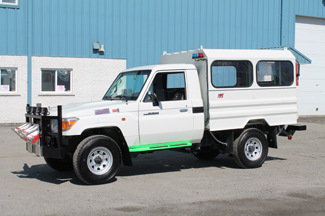 BTI also produces a full line of rugged, low profile, underground utility vehicles including mobile scalers, scissors lifts, crane trucks, lube trucks, anfo loaders, shotcrete mixers and placers, cassette systems and personnel vehicles. BTI offers unparalleled experience and product support through its network of strategically located international distributors. SIAMtechnology is comprised of versatile communications and automated systems, which can be used individually or integrated as a system. It provides radio and data communications, remote control and vehicle automation from distance or through a multimedia radio communication network. Thanks to our step-by-step approach, each SIAMtechnology was designed to integrate with another, creating an optimum system of mining automation that would improve your production cycle. Automated mining not only increases productivity and reduces production costs, but also allows access to reserves that were otherwise inaccessible for reasons of safety or economic feasibility, plus creating greater comfort for the operators. This is why we are able to help you satisfy your current and future mining needs. Delkor specialises in the design, manufacture and supply of mineral processing and solid/liquid separation equipment. Over the past 30 years, Delkor has become synonymous with the world’s leading belt filter technology with 26,000 m2 of filter area installed worldwide. Delkor also supplies high rate, high density and paste thickeners, as well as automated filter presses, gravity filters and flocculants mixing systems with installations in Europe, Asia, Africa and South America. The Delkor Linear Screen has become an industry standard for trash and oversize removal applications. Through our association with Bateman Equipment, we also offer the UltraSep™ Thickeners, Pin Bed Clarifiers (PBC™) and BQR Flotation Cells. Mining Technologies International (MTI) is a major manufacturer and supplier of quality consumable and capital products, including inspection and repair services, for the international mining/tunneling industries. MTI services predominantly underground operations from a network of manufacturing facilities in Canada, plus sales and service centers worldwide. MTI is a multinational company capable of servicing substantially all the development and production needs of the underground mining industry with a highly regarded line of consumable products augmented by an internationally recognized line of capital equipment. The combined customer base includes many of the major mining/tunneling companies in the world. Nordic Mine Technology’s know-how in engineering of underground haulage and loading systems is absolutely unique and unparalleled. Hundreds of mining companies all over the world have engaged Nordic Mine Technologies as equipment supplier and consultants. Its products include: chutes, mine cars, dump stations, traction equipment as well as the following services: design of chute loading system for train and truck loading and train transportation system plus special studies on transportation system costs and capacity optimization. Optech is the world leader in the development and manufacture of advanced laser-based survey and imaging instruments. Optech’s state-of-the-art lidar sensors are used in a broad range of applications, including mining, metallurgy and exploration. To name just a few: the CMS (Cavity Monitoring System), is an autoscanning laser system designed for safe underground cavity surveying. ILRIS is a complete, fully portable, battery-operated laser-based imaging and digitizing system for the commercial survey, engineering, mining and industrial markets. A relocatable building alternative ideal for remote mining operations worldwide. Stressed membrane structure technology. Applications include bulk ore storage, ore processing, vehicle maintenance, tank enclosures, copper concentrate storage to on-site dining and recreation facility. Ideal for remote locations where speed, relocatability and overall cost are essential. Delivered from inventory, erection can be completed in a fraction of the time and cost of conventional construction. Up to 20,000 sq/ft can be shipped in a 40' container. Lease or purchase. Ultra Seat Corporation is a family owned and operated business that was founded in 1992. We provide industrial seating to the mining, forestry, construction and agricultural industries. Ultra Seat carries specialized product-lines of mechanical, air ride seats and other related component parts including suspensions, seat covers, foams, seat belts, dampers, heater kits etc. We are the largest corporation of its kind in North America. Copyright © 2013 Mining Publications International. All rights reserved.